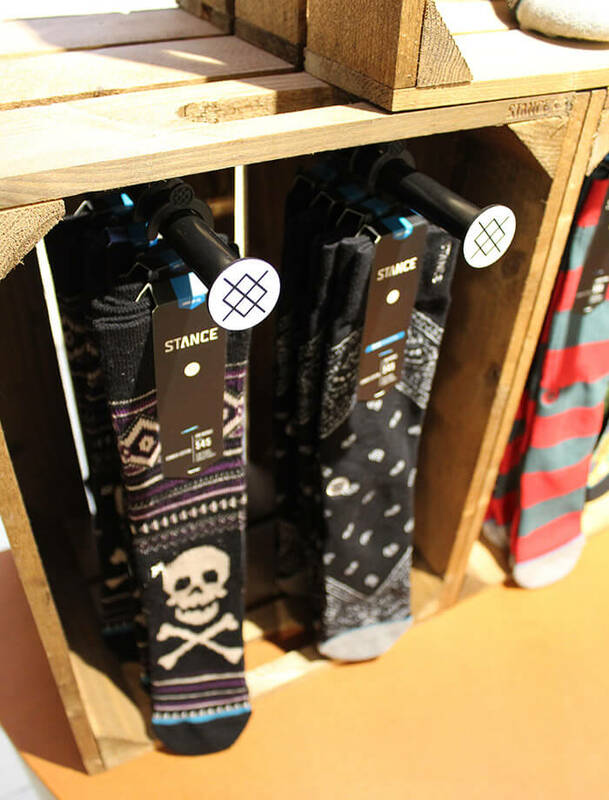 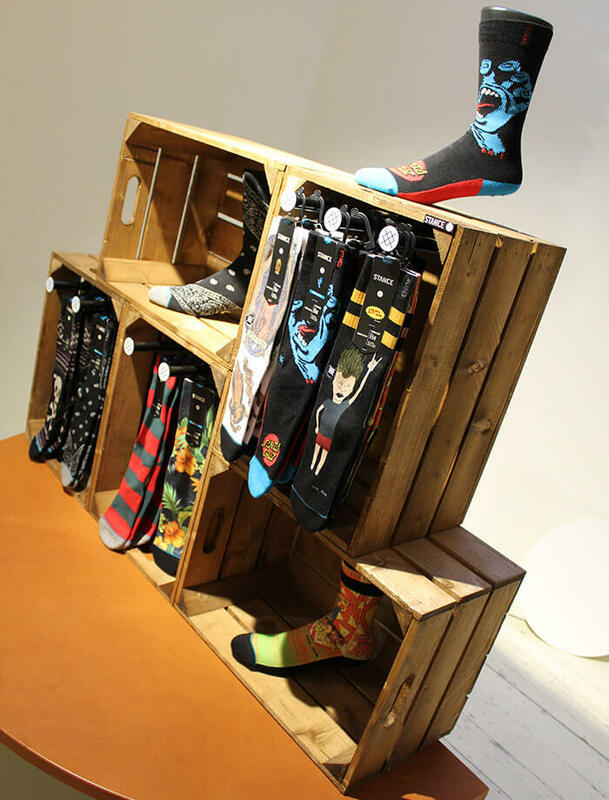 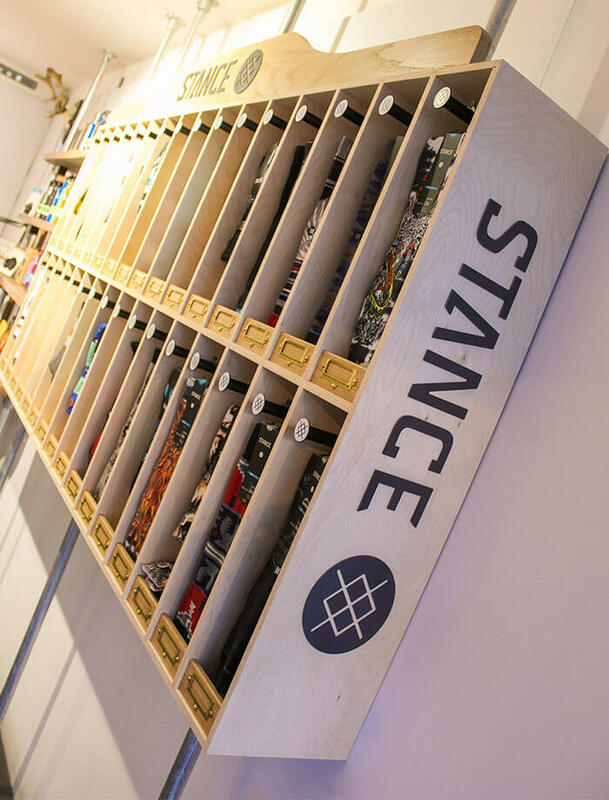 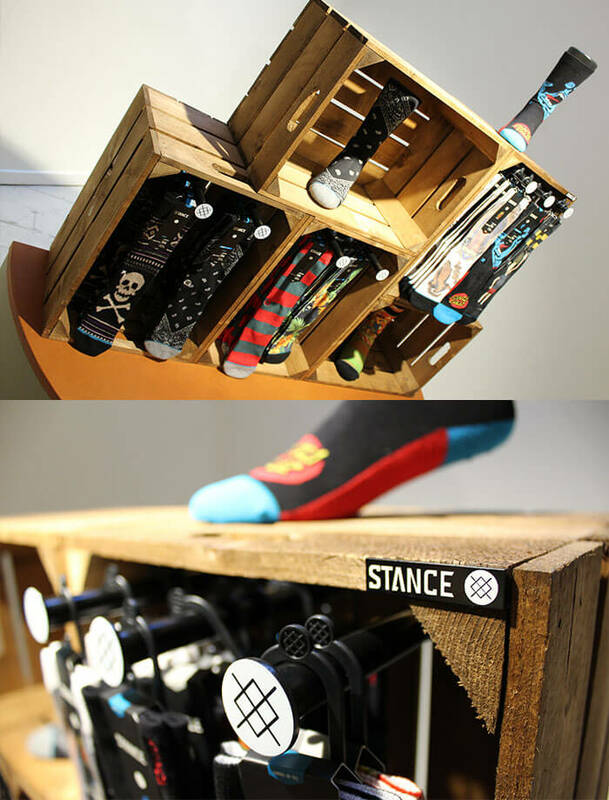 We started working with Stance in the summer of 2015, and since have worked on numerous small projects for independent stores across the UK and Europe. 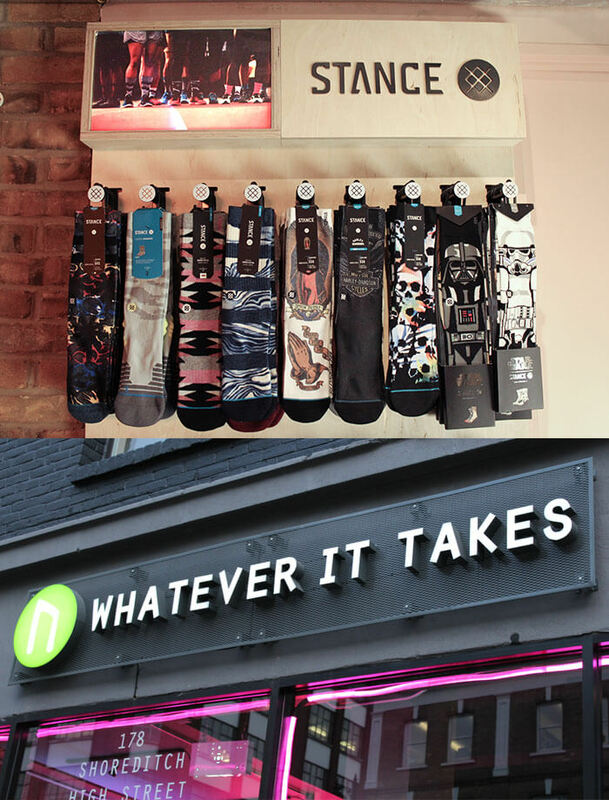 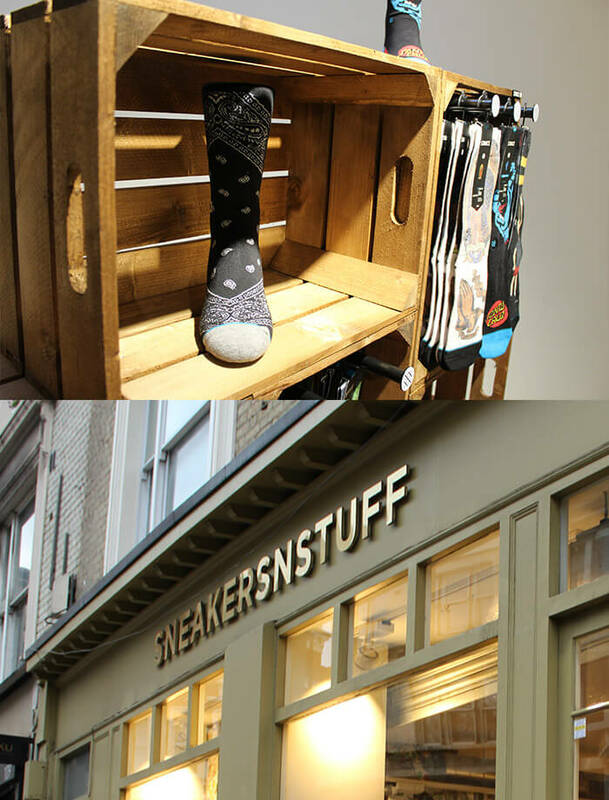 These examples show three such stores in London: Sneakersnstuff, Whatever It Takes, and Brokedown Palace @ Boxpark. 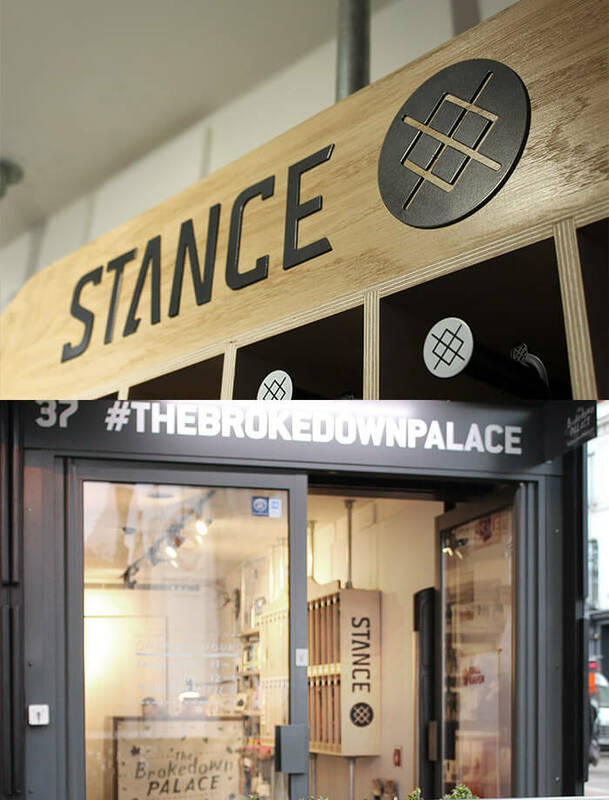 Aimed at those who dare to be different, each display was designed bespoke for each store’s needs and feature lightboxes, solid oak and steel logos for a tactile, quality feel akin to the product itself.